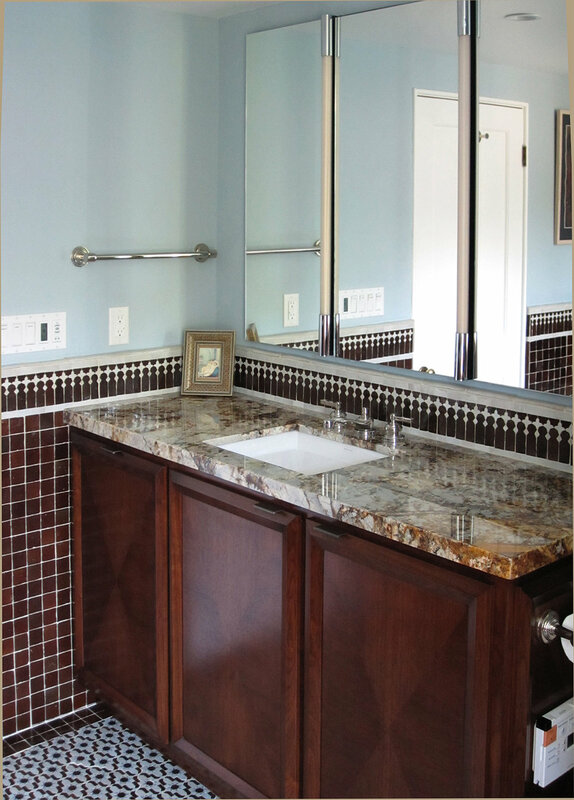 Within a short time frame, both homeowners requested updates to their master bathrooms. One dated back to the original 1930’s construction, the other from an unfortunate “pink phase.” Neither were particularly functional, or suited to the tastes of its Master or Mistress. Allowed free reign, two different schemes emerged to suit two different tastes: One, a more masculine Arabic theme with traditional hand-cut tile in an earth-toned palate; the other more whimsical, with Japanese references. Both feature deep bathtubs, rain showers, hand showers, updated lighting, and some more luxurious features like heated floors and benches, silent fans, and Japanese automated toilets.